Buick Rendezvous was one of the first crossover SUV brands to be sold in the U.S. GM produced this vehicle with its popular 3.4L engine. This is the same engine that propelled many vehicles before the Rendezvous was ever designed. General Motors has had great success with this engine and it should be no surprise that you will find Buick Rendezvous 3.4L engines for sale in our massive GM inventory. We deal directly with only used or rebuilt engines. New engines are awfully expensive and we have made partnerships around the world with distributors that give us the price point that works for our customers. Our GM engines are top quality. There are used engines and then there are used engines. The big difference between them is what a previous owner did or didn’t do. Engines that are taken care of properly remain in great condition and can benefit from a rebuild. A V6 engine that is not cared for is one that cannot have additional miles put on it without trouble. These types of engines are what you find for sale on auction websites or with some junkyards. We sell to junk and salvage dealers because they know how great our used engines are in the vehicles of their customers. Our rebuilt engines are exactly the same. You would not believe what an expert that uses testing equipment can accomplish. A thorough test is what makes or breaks the reputation of an engine builder. Since we are experts, we have invested into the right mechanics and high performance equipment for all of our tests. There is nothing that we can’t do and nothing that gets through our testing unnoticed. We are able to test each 3.4L used Buick engine before it is sold. We also test the rebuilds that are finished in our engine shop. Our expert level of testing is pretty amazing and is what keeps our business from the negative reviews that many other online dealers receive. You don’t need to have any special membership, license or other credentials to buy our Buick engines for sale. Every person that submits a quote request will get the same pricing. We discount near wholesale prices for everyone to take advantage of what we have to offer. We are a great solution if you are the type of person that wants to stop paying MSRP for a used or rebuilt engine. 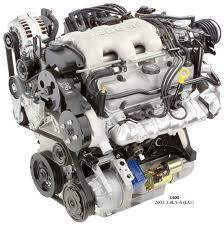 We sell thousands of 3.4L engines each year and our prices rarely go up. We are known to reduce our pricing even further than what it is right now. Getting the price you want, service you expect and shipment time that includes no delays is easy here. Price quotes from www.carenginesforsale.com are easy to get. Right on this very page is our Buick quote form. Using it takes less than 30 seconds of your time and you’ll save hundreds of dollars by using it. Call us on the phone if you need an answer to a question or just prefer to get phone quotes. Our number is 1-877-630-3873. Take advantage of our awesome pricing today.